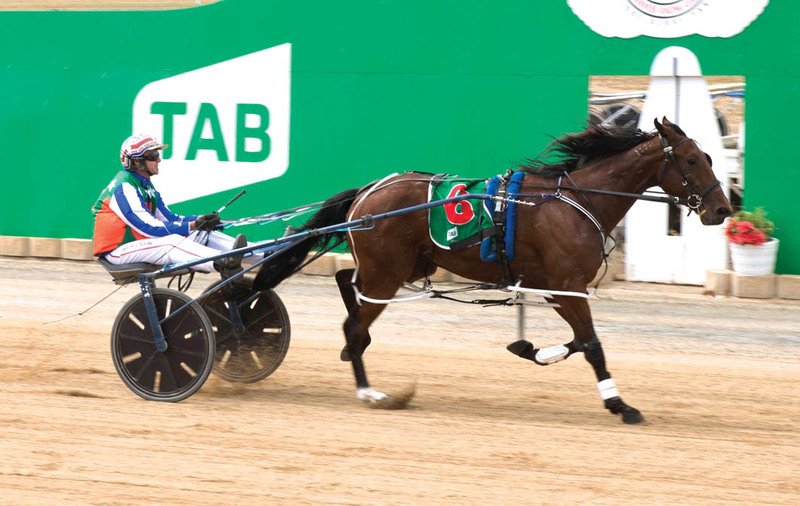 FEARS of the Golden Nursery being abandoned were in vain, with heats of the feature being conducted in Victor Harbor today. Concerns were harboured in relation to the Alabar-sponsored event after trainers declared they would boycott meetings due to the dispute between Harness Racing SA and the South Australian Harness Racing Club. To add a degree of background, the two bodies are in the middle of a stand-off, which has seen the governing body cease racing at Globe Derby. HRSA wants the club’s committee to resign, with the committee refusing to budge. Unhappy with the move away from the venue trainers voted to strike against the meetings in a bid to have the arguing parties settle their differences. Despite the motion to strike, last Friday’s Strathalbyn program went ahead – albeit with small fields – while today’s meeting has attracted a reasonable card, including a pair of Golden Nursery qualifiers. The opening heat appears to be at the mercy of Victorian raider Celebrity Chef. A last start winner of the Alabar Fillies’ Classic at Globe Derby, the Emma Stewart-trained youngster is a $1.30 favourite from barrier three. The second heat is an open affair, with Wolf Of West Bay the warm favourite for Alyse Finnis. A luckless fourth in Horsham a fortnight ago, the son of Art Major is ready to bounce back to the winners’ circle according to Finnis. Wolf Of West Bay is the $3 public elect from gate five. “He’s been working well since his last run and is in good shape for this,” Finnis said. “Hopefully he won’t have any trouble making his way into the Final. “He does have gate speed so the plan is to use it to press on until he finds the front.